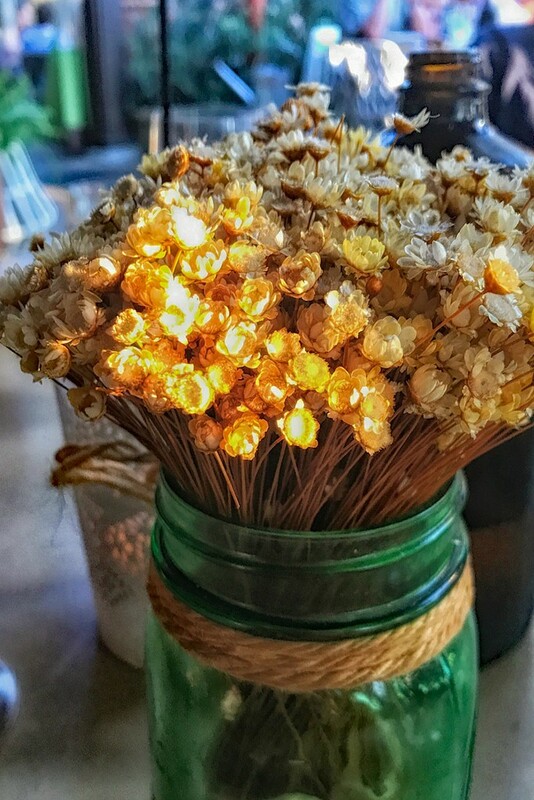 We had dinner with my son and his girlfriend before they went off on vacation -- had a wonderful meal at an outdoor restaurant in North Hollywood where the dried flower arrangement caught the setting sun just right. Nice capture, thank goodness for iPhones. Great light on the pretty arrangement. Lovely photo. Creates a lovely mood.